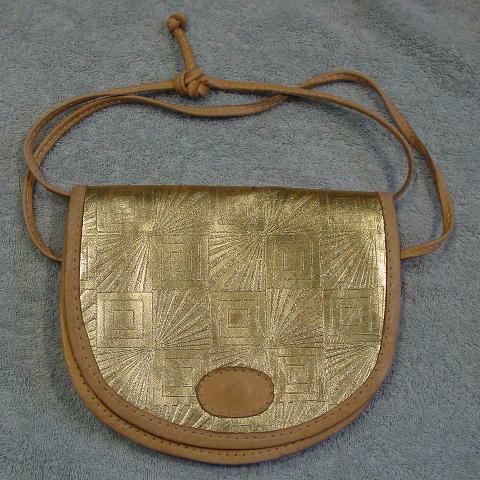 This '80s gold lame leather purse was made in India. It has a geometric pattern within box shapes. Some of the lame is wearing off on the front and back, and there is a black mark on the top of the flap. 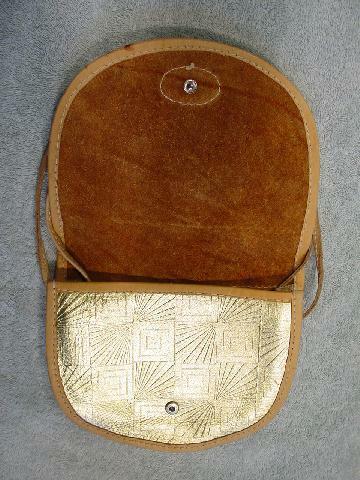 It is edged in light tan leather and has a 46" long leather strap (you can wear it long or double it and carry it as a handbag). It has a one snap closure under the flap.